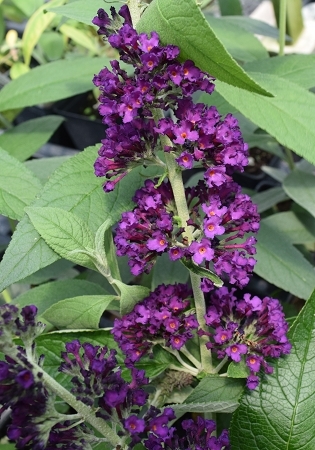 Black Knight Butterfly Bush (buddleia davidii 'black knight') - Gardener's favorite featuring very dark purple(almost black) pannicles that attract butterflies to the garden all summer and fall. Can grow up to 8' tall and 5' wide. Easy to grow perennial in zones 5-9. Live plant in 3 inch container.